GOP strategist Brad Blakeman bickered with Democratic National Committee vice chair Michael Blake on Fox News over the direction of their parties Wednesday. Blakeman began by suggesting that the Democrats have lost their identity in the wake of socialist darling Alexandria Ocasio-Cortez's surprise election win in New York. Democratic leaders like Nancy Pelosi have tried to downplay the young progressive's win, suggesting it is not indicative of a larger movement. Several Democrats have had to field this question after Ocasio-Cortez's upset victory. Most explain it away by noting the Democrats have a big tent and that New York's 14th congressional district was a unique race. Blake, however, used some recent very high profile arrests as part of his biting rejoinder to Blakeman. Blake's shady comment may be the definition of "going low," but does he have a point? Former Trump campaign chairman Paul Manafort and his business associate Rick Gates have been on trial in Virginia this week after being indicted last year for money laundering and conspiracy charges. 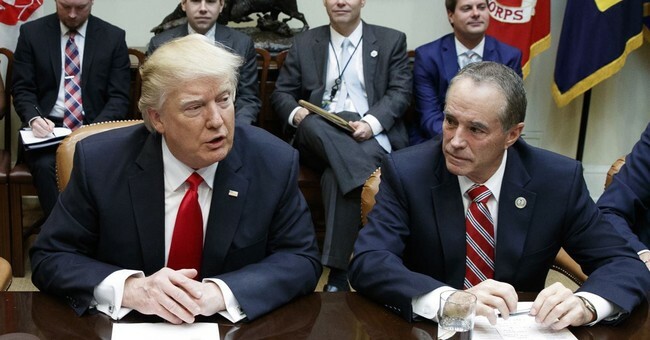 Then, on Wednesday, New York Republican Rep. Chris Collins was arrested by the FBI on insider trading charges. He pleaded not guilty, though, and has no plans to resign. Yet, Democrats have not been immune to legal trouble. Sen. Bob Menendez (D-NJ) escaped charges last year relating to conspiracy, bribery, and honest services fraud because his case ended in a mistrial. A lack of identity and a string of supposed illegal activity. Not exactly a ringing endorsement for either major political party just three months before the midterms.